Pak’s dreamlike watercolors follow Cat as he denies, again and again, that there is such a thing as a wish. 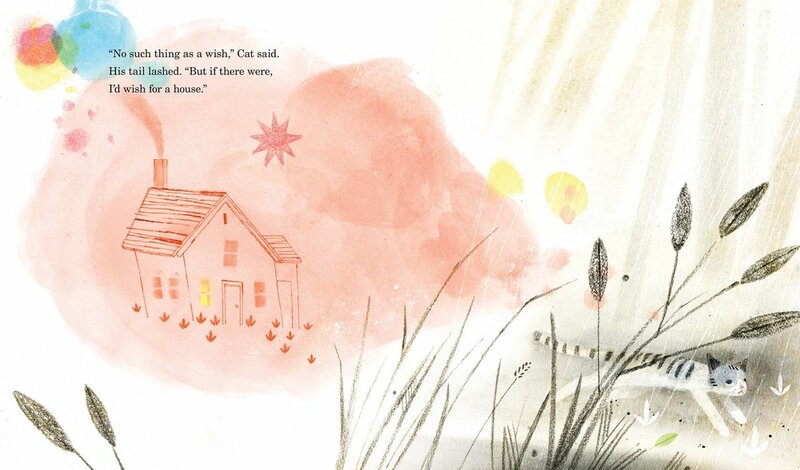 But Brill’s text suggests that if wishes did exist, Cat would ask for a fish or most importantly — a house. Though as we all know a house is not a home until there is someone else there. A satisfying conclusion may convince readers that Cat was wrong about those wishes!